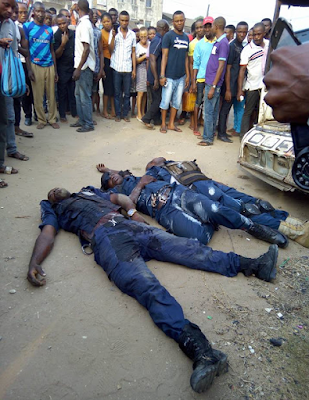 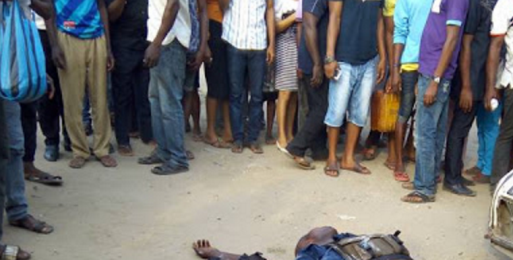 Unknown gunmen have shot dead four vigilante boys in broad daylight at MCC Junction, Aba, Abia state. According to the reports, the vigilante group disrupted the gunmen's plan to kidnap a wealthy businessman along Tominas, Bicoz Filling Station located along Enugu/Port Hacourt express way. 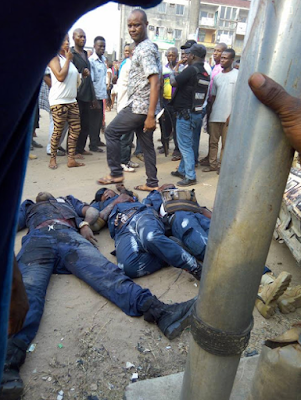 Pissed off by the foiled kidnap plans, the gunmen traced the vigilante men who were in a hilux to MCC junction where they opened fire on them. 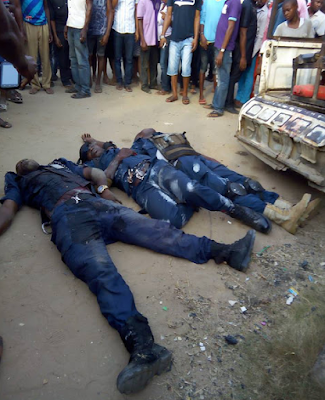 Three members of the vigilance group died on the spot while the remaining two were taken to the hospital.